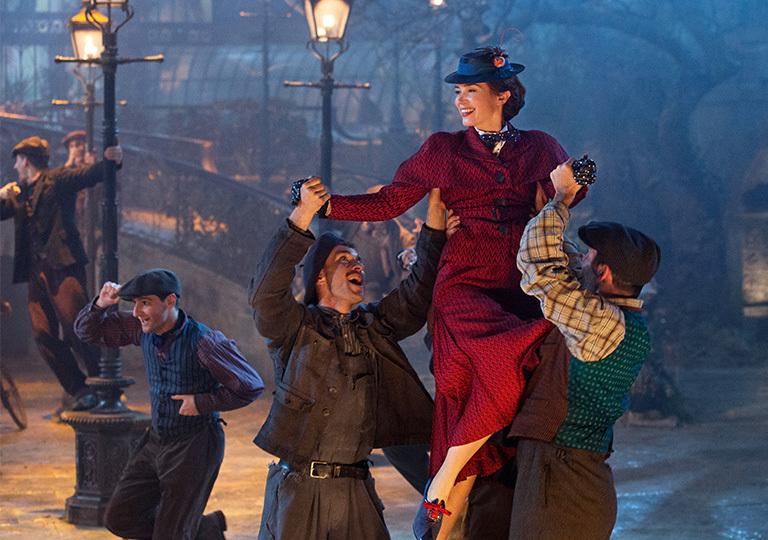 We’d all love to have someone like Mary Poppins to cheer us up when things seem grey and gloomy. 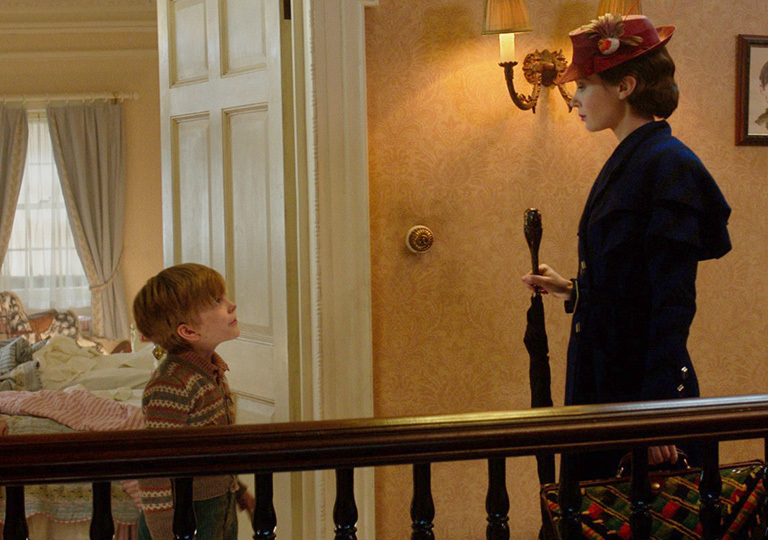 The “practically perfect nanny” always seems to know just what to do to restore our spirits. Maybe that’s why we can’t wait to see her work her magic in Mary Poppins Returns. To create the new film, the Disney storytellers returned to author PL Travers’ eight original classic books. “We delved into them and brought our own contemporary sensibility, music and magic to telling more of the stories and including new characters such as Jack, the Lamplighter. Among the many adventures Mary Poppins takes her young charges on is a trip to the city to meet Mary’s delightfully quirky cousin Topsy (Meryl Streep) and an enchanting underwater journey utilizing both traditional and new animation techniques. “It’s colorful, upbeat and full of humor—just what you’d expect from an adventure with Mary Poppins,” Platt says. Music, song and dance run through the film like a rainbow. “Composer Marc Shaiman was a student of the Sherman Brothers, who wrote the music for the original film. He’s created a marvelous score. And the songs, written by Scott Wittman and Marc Shaiman, will make you laugh and make you cry,” Platt says.